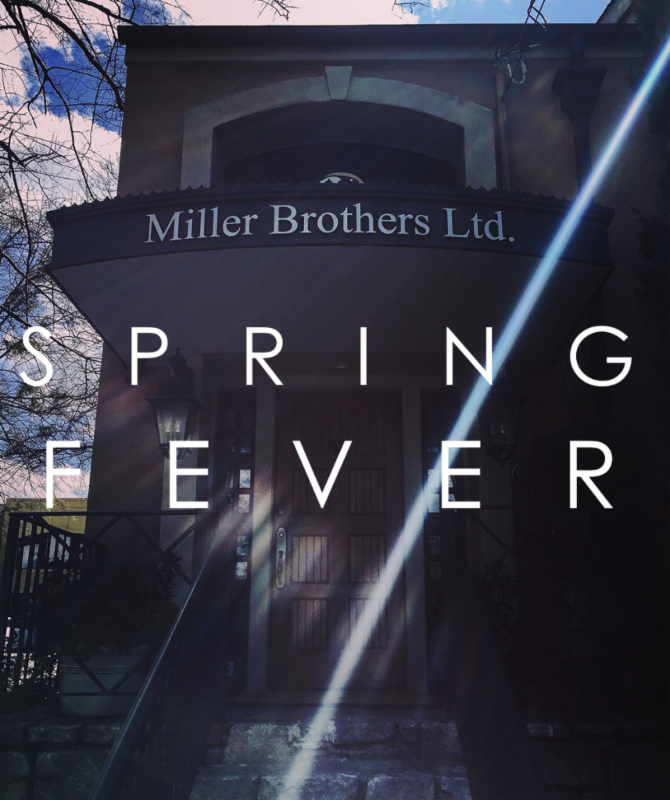 Miller Brothers continues to host Spring trunk shows, with Faherty rolling into Paces Ferry Place next week. Peter Millar visited in March, following a Made-to-Measure event featuring custom clothing from Hickey Freeman and Miller Brother’s Private Label. And there was a special “Made in the South” event in April. Mark your calendar and join Robby, Greg and Jonah on Thursday, May 18th when the fine folks at Faherty bring their unique, mobile showroom to Miller Brothers. Don’t miss this opportunity to choose from more of Faherty’s casual shirts, shorts, pants, beachwear and more. 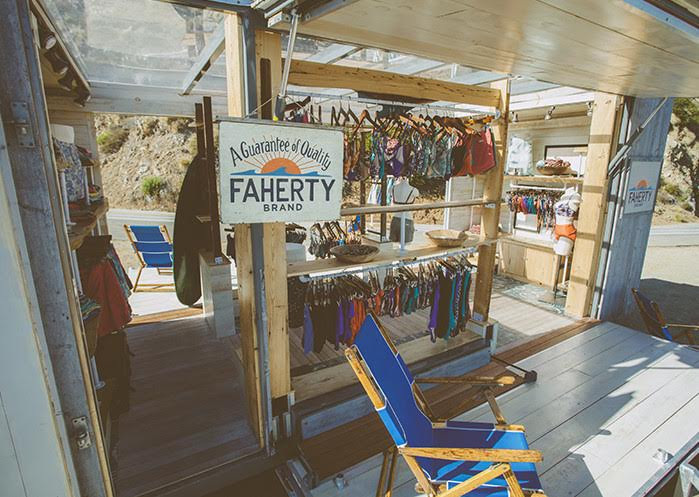 Faherty was founded by twin brothers Mike and Alex Faherty, who grew up surfing in a beach town and now make the kind of high-quality sportswear they had a tough time finding in their youth. The “Made in the South” event featured our friends from Raleigh Demin, Houston-based Hamilton and fellow Atlantans w.kleinberg. “We carry names from around the world, but there’s something special about introducing people to strong brands made closer to home,” Greg Miller explains. At the Peter Millar event, customers enjoyed the chance to see, select and special order from an extensive range of styles and colors. 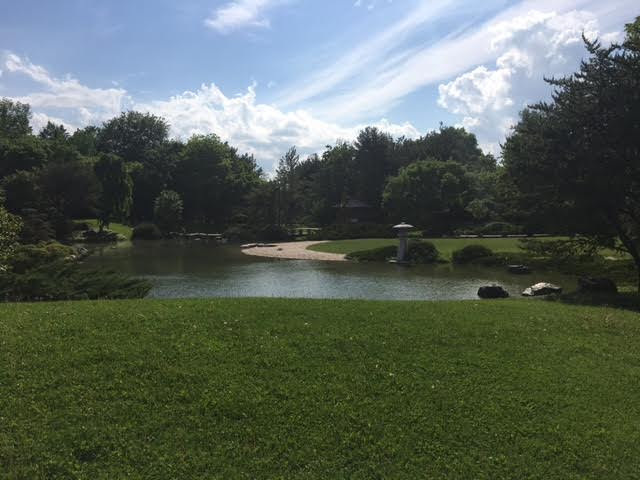 With Memorial Day coming up, Greg Miller has been thinking about an enjoyable trip he took on the holiday weekend last year to Montreal, where he visited facilities that make tailored clothing, including suits, sport coats and trousers, for Miller Brothers’ Private Label as well as Peter Millar. The Millers thoroughly enjoyed Montreal’s restaurants including Le Filet, which Greg describes as having “great food and a cool but also cozy vibe.” He also recommends Barroco in Old Montreal, which Greg and Janet discovered after first meeting at a nearby restaurant that was playing loud club music. 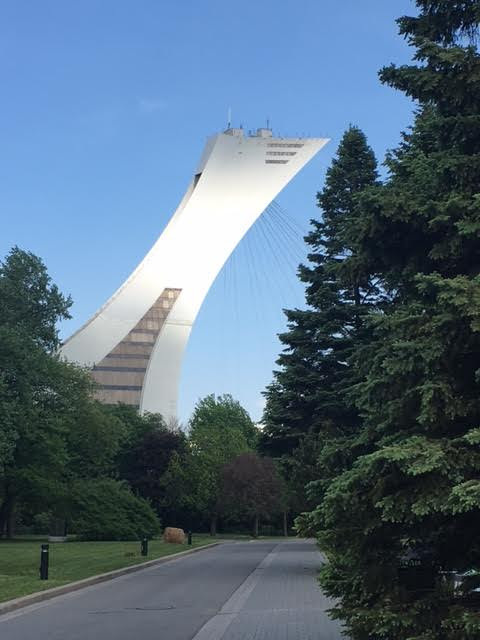 Thinking about making an initial or repeat visit to Montreal? Stop by Miller Brothers for more suggestions and recommendations from Greg. For Spring and Summer, Miller Brothers is carrying a wide range of clothing and sportswear from Peter Millar Collection, a higher-end line featuring the exceptional interpretations of modern menswear in exclusive, mostly Italian fabrics. Peter Millar Collection sport coats have natural shoulders and patch pockets, reflecting a sporting heritage. They feature fine Italian fabrics from Loro Piana in blends of wool, silk and linen. Trousers include flat front chinos, five pockets and denim. Tailored shirts are made of a distinct pinpoint fabric of cotton and lyocell for comfort and breathability. The woven and knit ties are handmade in Italy, as are the pocket squares. Peter Millar Collection sweaters are made of Italian yarns from Florence. With a breathable, stretch pique fabric, the polos combine luxury and innovation. Swim trunks are made of ultralight, quick-drying Italian microfiber. The comfortable, lightweight summer trousers in cotton, silk and elastine poplin are perfect for Atlanta, and the line also features sport shirts in chambray and linen. 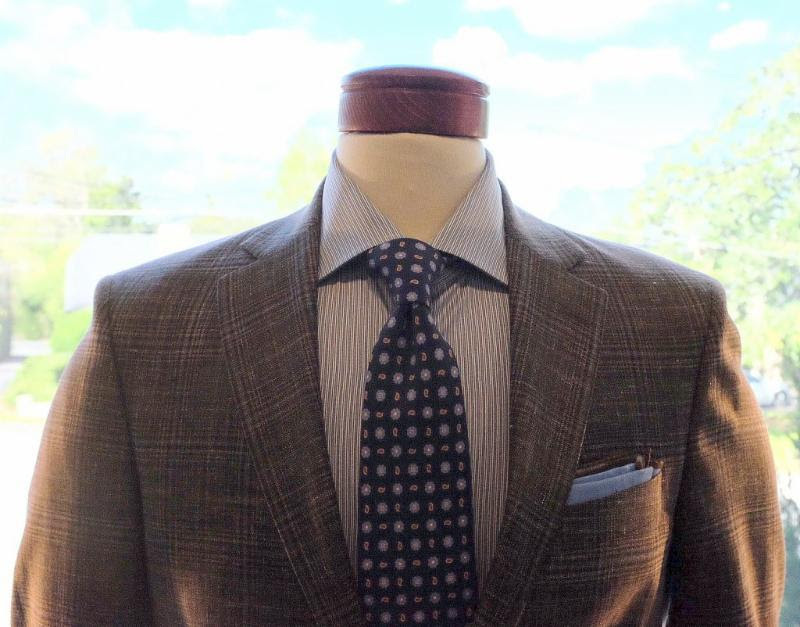 Stop by Miller Brothers soon to see the latest selections from Peter Millar Collection. 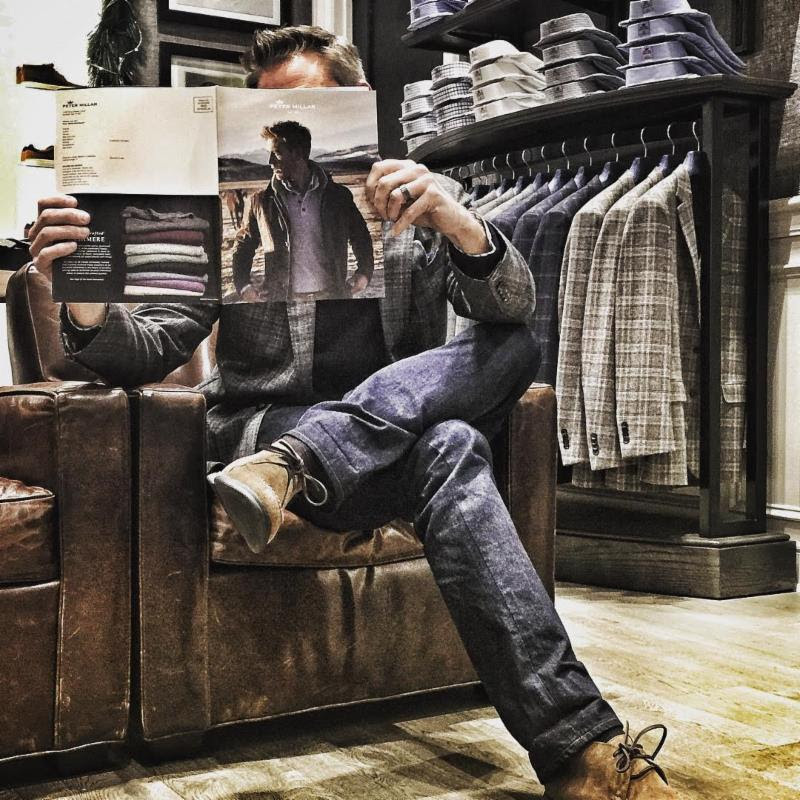 When you’re in North Fulton, visit the Peter Millar flagship store at Avalon. The innovative outdoor development in Alpharetta, located just off 400 on Old Milton Parkway, recently opened a second phase featuring many additional stores and restaurants. 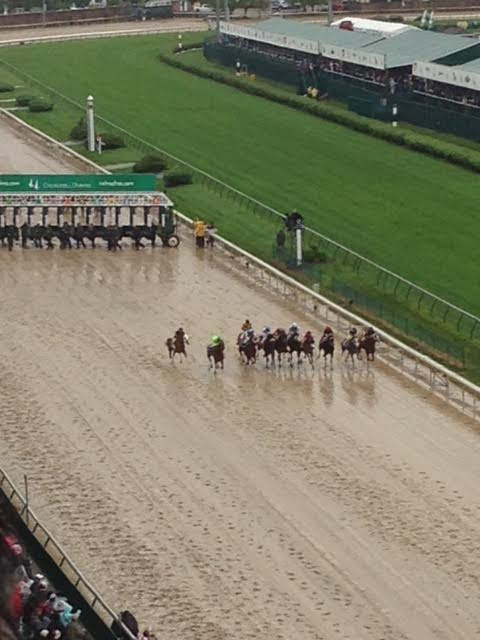 Always Dreaming won the 143rd Kentucky Derby Saturday, and Greg Miller was on hand to take in the historic race and the outsized spectacle at storied Churchill Downs in Louisville, Kentucky. He picked Always Dreaming to show, so his Derby bet wasn’t a total loss. A Miller Brothers customer generously invited Greg to take part in the festivities, and even the wet, unseasonably cool weather couldn’t dampen their spirits. “Churchill is such an amazing place, a real slice of Americana,” Greg says. Skipping the traditional Mint Juleps, he went straight for bourbon with crushed ice and a festive sprig of mint. 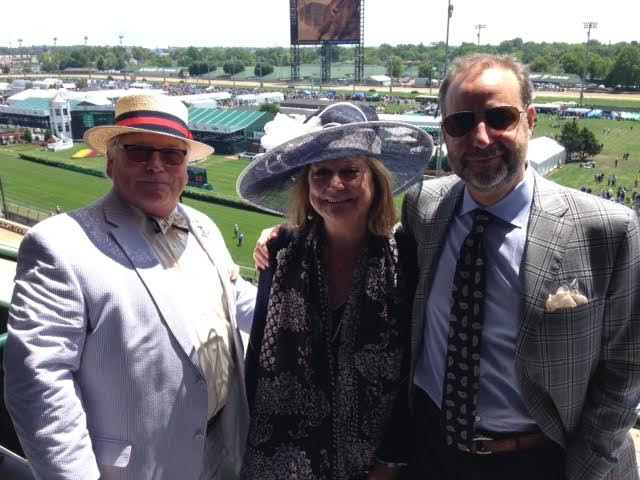 The weekend’s packed itinerary included a stop at Chef Edward Lee’s celebrated Milkwood restaurant, several private parties and attendance at The Oaks, the traditional pre-Derby race on Friday. A proper Mint Julep, it should be noted, works very well at home. In the right spot, mint can grow like a weed in Atlanta. And, beyond muddled mint leaves, you only need bourbon, simple syrup and ice to make delicious and refreshing Mint Juleps all summer long. 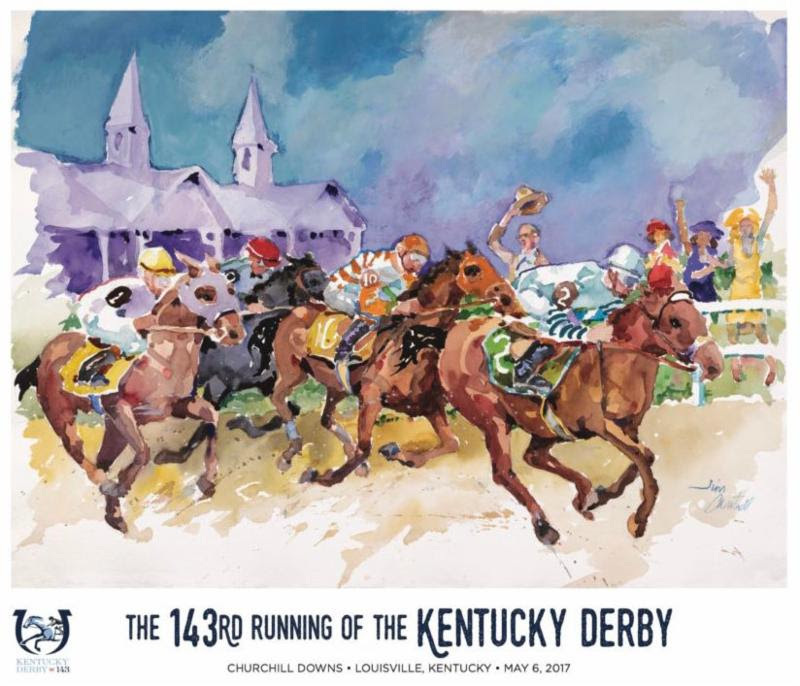 Looking for a classic bit of reporting on the Derby from a unique perspective as all-American as the Run for the Roses itself? Check out the late great Hunter S. Thompson’s “The Kentucky Derby Is Decadent and Depraved,” easily found online. For the record, Greg reports that his Derby experience involved 100 percent less mace than Thompson’s 1970 visit. Since 2009, Red Clay Soul has been toasting the good life in the South with stories and photographs covering everything from style and clothing to drinking, dogs, golf, music and more. 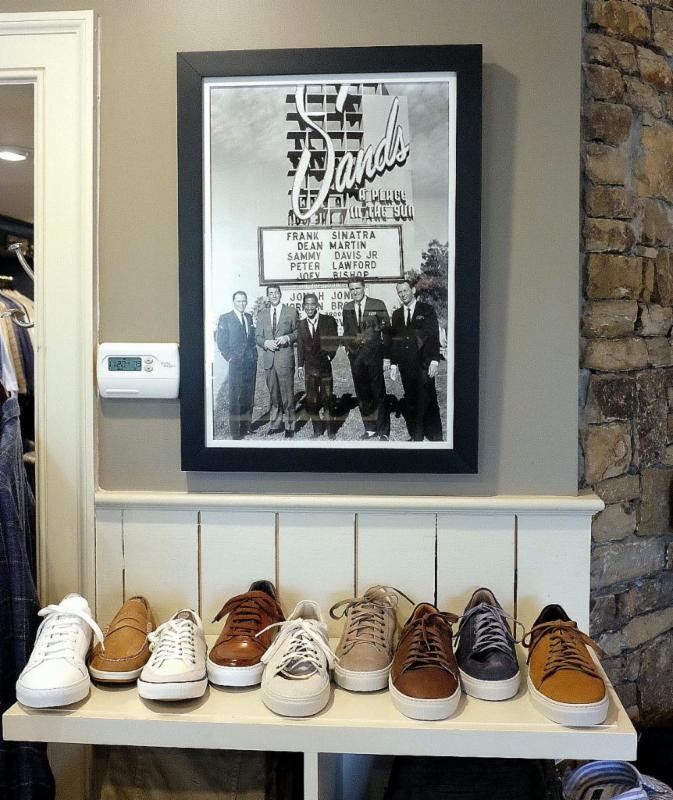 Jay has been visiting Miller Brothers for years, and he’s found kindred spirits in Robby and Greg. He stopped in last month and put together a fantastic photo series highlighting some of his favorite choices for spring and summer, which you can see by clicking here. You can also find Red Clay Soul on Facebook and Instagram.